88 Energy Ltd (ASX:88E) intends to launch a non-renounceable rights issue (open offer for AIM purposes) to raise up to approximately A$14.33million (£7.96million). The proposed offer is to be made on the basis of one new share for every seven shares held by qualifying shareholders as at October 10, 2018. New shares to be issued pursuant to the offer are priced at A$0.018 (£0.01) per share. The directors of the company have indicated their intention to take up their full entitlement under the offer. The capital raising is designed to allow existing shareholders exposure to potentially transformational activity over the next nine months. 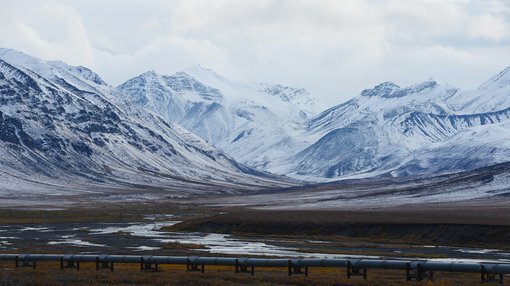 Indeed, there are potentially significant market-moving exploration events occurring across the company’s Alaskan projects in 2018-19. These include production testing at the Winx-1 exploration well which is targeting gross mean prospective resources of 400 million barrels of oil (144 million barrels net to 88E). Of course 88E remains a speculative stock and investors should seek professional financial advice if considering this stock for their portfolio. The Winx-1 well is located at the company’s Western Blocks project, where 88 Energy is earning a 36% working interest by funding 40% of the cost of the drilling of the well. 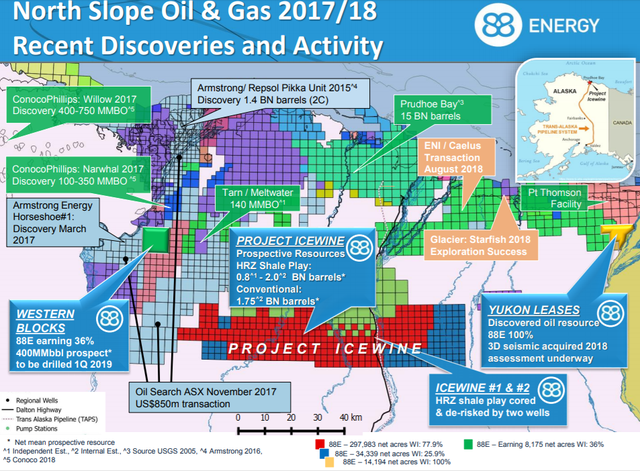 The company is also progressing a farm-out of its conventional prospect portfolio at Project Icewine, where 1.75 billion barrels of net mean prospective resource has been delineated with 2D and 3D seismic. The process is targeted for completion by calendar year end 2018. Additionally, 88E continues to progress evaluation of the HRZ shale play ahead of a planned farm-out in the first half of 2019, as well as finalising the resource potential on its Yukon Leases where 3D seismic was recently acquired.